Michael Gove’s new National Curriculum requirements might have been finalised, but the debate about what young people should learn and how; must continue. 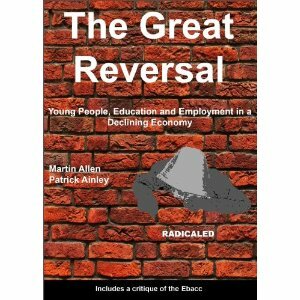 If there is an area where Gove is both weak and wobbly, then it continues to be on the curriculum, where he has made a series of retreats, if not U-turns – starting with the fiasco around the English Baccalaureate Certificates, but continuing with the concessions on History and to a lesser extent English. On all occasions, Gove has faced campaigns of opposition. Gove frames many of his arguments in the context of what he considers to be the UK’s declining international performance and portrays himself as a ‘moderniser’, looking to the education practices of high performing countries for inspiration. In other words, his concern about ‘standards’ is justifiable and necessary for the longer term ability of the UK economy to ‘compete’. Even Sir Michael Barber, architect of many ‘school improvement’ reforms during the last two decades, warned about the dangers of copying policy on the hoof (Guardian 22/8/12). Barber also pointed out that, as policy makers in the Asian Tiger economies recognise that their economic systems need to become ‘more innovative’ and their schools ‘more creative’, some of the countries held up by Gove are looking to European education systems for inspiration. 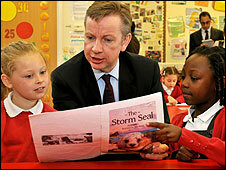 Gove has claimed ‘unprecedented interest’ in his curriculum proposals. There has been, yet much of it continues to be critical. Now that the NUT and NASUWT have commenced joint strike action against Gove’s Draconian policies for teachers’ pay, it is crucial that the campaign integrates the concerns of teachers, some of whom will be bounced into teaching parts the new NC from this September as the current model has been ‘disapplied’. With poll after poll continuing to show that parents see teachers as the people who know most about the curriculum and learning, not government ministers, opportunities to involve parents in a general campaign on both teaching and learning, can only grow.